This article only applies to paid users who access PlayPosit through a Learning Management System. For instructors who navigate directly to the PlayPosit website, see this article instead. Note: Discussion Forum questions are not compatible with Broadcast. 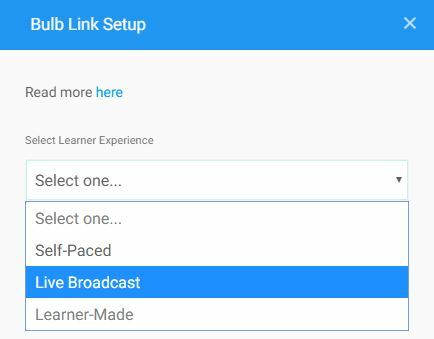 Broadcast sessions can now push grades automatically to your LMS gradebook! Below is a video overview of how to Broadcast with a LMS. Poll learner results from virtually any device. Get immediate performance data to personalize instruction and class discussion. Get group feedback for Professional Learning. Create a PlayPosit Bulb. Click here for more information about creating Bulbs. Create a PlayPosit assignment in your LMS. If you will be presenting this bulb to multiple sections and wish to retain student responses for each group, you must create a separate copy of the lesson for each group. Link to the appropriate Bulb as a Broadcast session. Save and Publish the assignment in your LMS. For more help with creating a PlayPosit assignment, find a help article for your specific LMS. Broadcast any Bulb to deliver content synchronously. If you present the same bulb in multiple sessions, you will need to Resume the lesson after the initial presentation. Log in to your LMS and open the assignment. Click on the Bulb Title to begin the session. Select Yes to continue playing the Bulb from where you left off previously with the same group of learners. This will retain prior student responses to questions in the Bulb. Select No if you want to start at the beginning of the Bulb with a new group of learners. This will remove prior learner responses to questions in the Bulb. Note: If you will be presenting this Bulb to multiple sections and wish to retain student responses for each group, you must create a separate copy of the lesson for each group. Display learner responses as the Bulb progresses. Know when everyone has completed a question and review their answers as a class. Click on various icons to get more information on active learners and their polled responses. See the number of learners who have answered the question. See how many learners chose each answer for Multiple Choice or Checkbox questions, and see which students chose each answer. Note: this potentially sensitive information is projected with the rest of the Bulb. Project individual learners' answers for Free Response questions. When the lesson is over, close the window with the video. Gain insights into your effectiveness and learn which topics, questions, and learners to target for remediation. In your LMS, click on the Broadcast assignment you want to view data to open PlayPosit Setup. 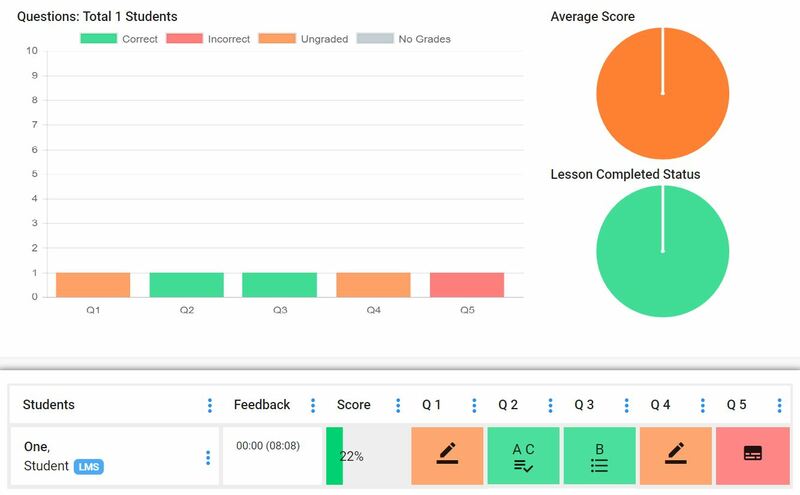 Click on Monitor to open the assignment's Question-by-Question Breakdown dashboard to view learners' performance data or grade free responses. For more information on the Question-by-Question Breakdown dashboard, please view this help article. Once learners join your Broadcast session, they will see the video on your projected screen. As the Bulb progresses, questions will appear on their individual devices when the video pauses and will disappear when the instructor continues to play the video. Learners log in to their LMS accounts and open the assignment. They will receive a message telling them to wait for the instructor. As the Bulb begins, the learners' screens will remain blank. When the Bulb pauses for a question, it will pop up on both the learner's and instructor's screen.